Guests are invited to escape to the pure and cleansing healing practices of The Ritz-Carlton Spa, Kapalua. Massage, body, and facial services are performed in spacious spa suites with personal amenities and garden showers. A host guides spa-goers through ladies and gentlemen’s relaxation lounges featuring rain showers, Hawaiian grotto areas with heated whirlpools, eucalyptus-infused steam rooms, and dry cedar saunas. 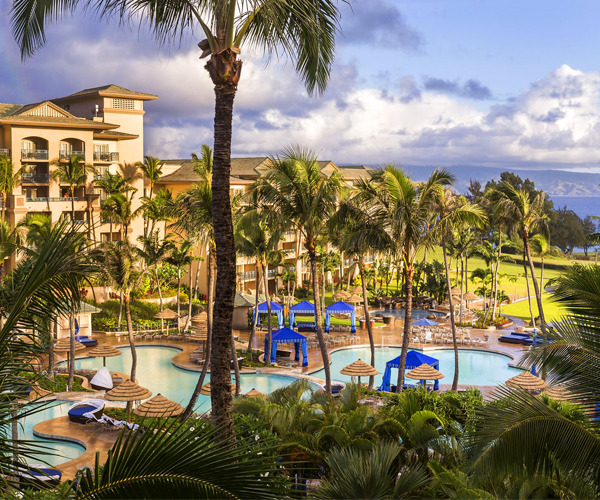 Individual guests and couples can also indulge in the open-air relaxation lounge and whirlpool (bathing suit required), located in a Hawaiian taro garden. Following a treatment, the spa experience can continue in the full-service salon. At The Ritz-Carlton Spa, Kapalua, visitors are welcome to indulge in the healing powers of Waihua—the name ancient Hawaiians gave to water that is pure in every sense. Inspired by this spirit, the spa offers a variety of treatments and therapies based on native Hawaiian healing and the potent plants, flowers, fruits, and herbs abundant in the islands. Time-honored remedies like the lomilomi massage are designed to alleviate modern ailments, while innovative skin-care rituals such as the NuFACE Lift Clinical Facial aim to revitalize. The luxurious 17,500-square-foot spa and fitness center provides private outdoor gardens, as well as private couple’s cabanas. From tropical rainforest hikes to ancient Hawaiian burial grounds to Maui’s prime snorkeling opportunities, Ritz-Carlton guests are moments from discovering the natural beauty of Hawaii and its local customs. A highlight of the 54-acre beachfront hotel is the Honokahua Preservation Site, a recognized wahi pana, or sacred site, that lies adjacent to the property and is the focus of tours and weekly historical “sense of place” discussions. On-site sports facilities include two tennis courts, a basketball court, a Cybex-equipped, 24-hour fitness center with ocean views and a monthly-changing schedule of mind-body classes, and a variety of recreational activities like swimming, surfing, boogie boarding, hiking, outrigger canoeing, seasonal whale watching, kayaking, stand-up paddling, and more. Guests also have access to Kapalua Resort amenities, including two championship golf courses, miles of hiking trails, the Kapalua Tennis Garden, and the Maunalei Arboretum. Guest rooms and hotel suites featuring dark floors, marble bathrooms, and island-inspired decor provide luxurious accommodations, while the hotel’s Club Level offers exclusive amenities such as dedicated concierge services and culinary enticements throughout the day. Visitors will enjoy stunning views of the lush foliage and soothing ocean waves. 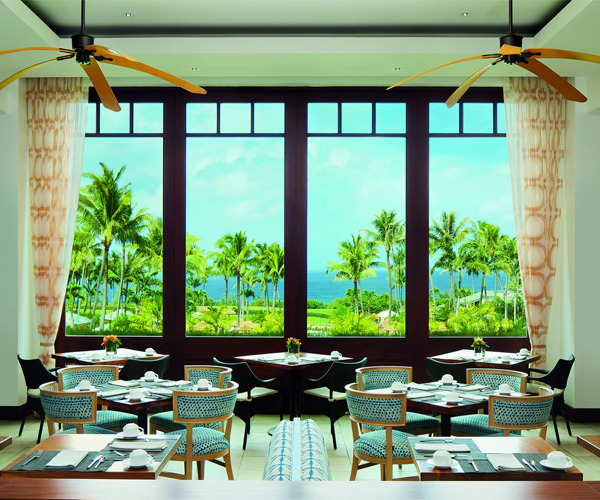 With architectural designs reflecting a unique sense of place and absolutely breathtaking oceanfront views, The Ritz-Carlton, Kapalua, restaurants feature a wide variety of Hawaiian imagery and local ingredients. From fresh sashimi and tasty Japanese appetizers at Kai Sushi to spacious outdoor seating at Alaloa Lounge, the ocean-view restaurants offer tantalizing seafood dishes. Other venues include The Terrace Chef-Crafted, with its dramatic views of the Pacific Ocean and the Pailolo Channel, and the Beach House, which has been awarded four stars. A healthy spa cuisine menu is available; as well, alcohol is served in the beauty salon.